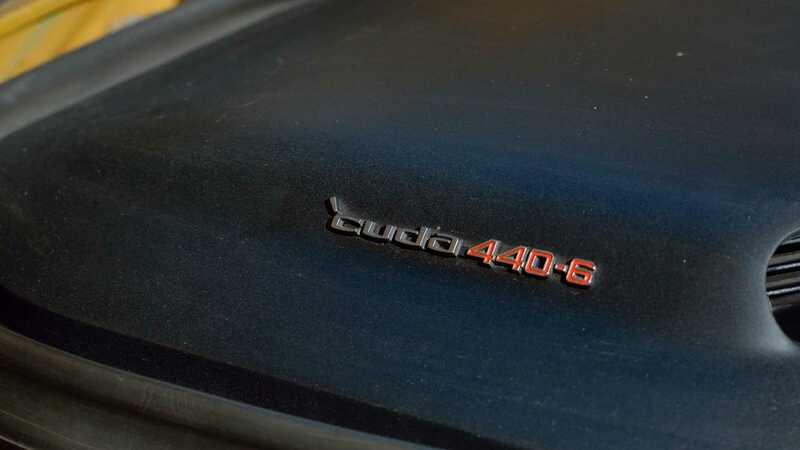 In 1971, the Plymouth Cuda ‘Vert was the most powerful convertible offered from any manufactured, that is, when it was equipped with the beefy 440ci V8 engine package. 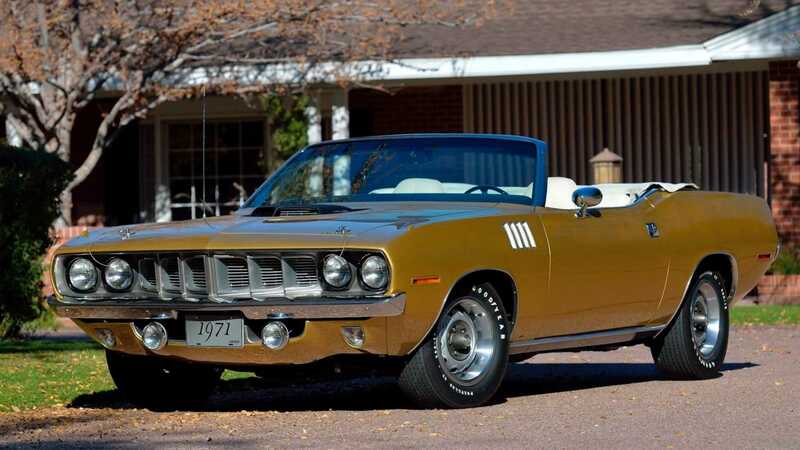 At this time, Chrysler had canned the B-Body convertibles, and no other automaker was offering a convertible with multiple carburettors. 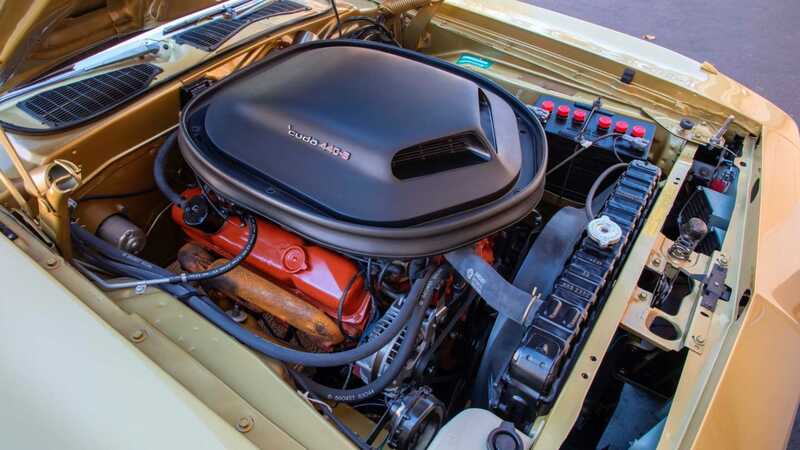 The 426ci Hemi was still available during 1971, but the 440 six-barrel engine was definitely the preferred engine for drivers who wanted a more powerful muscle car. 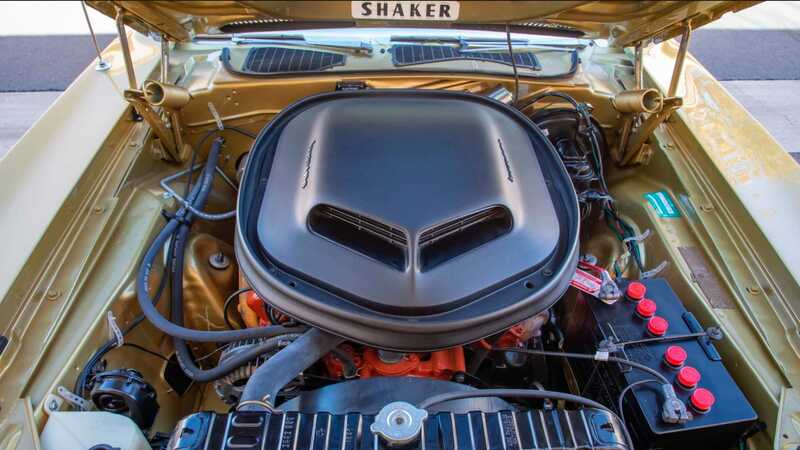 It could come to be known as the 'Six Pack' engine, and was rated at 385hp, with a short run from 1969 through to '71. 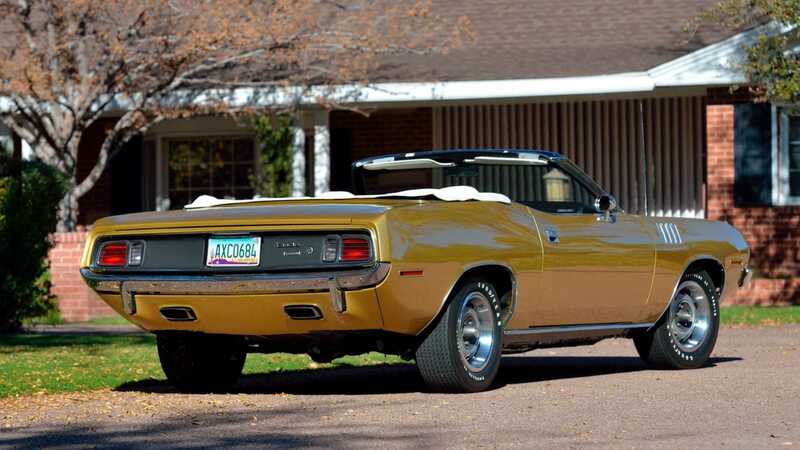 This particular example of a Six Pack equipped Plymouth Cuda was produced in late August of 1970 at the Hamtramck, Michigan plant - making it a very early example of the '71 model. 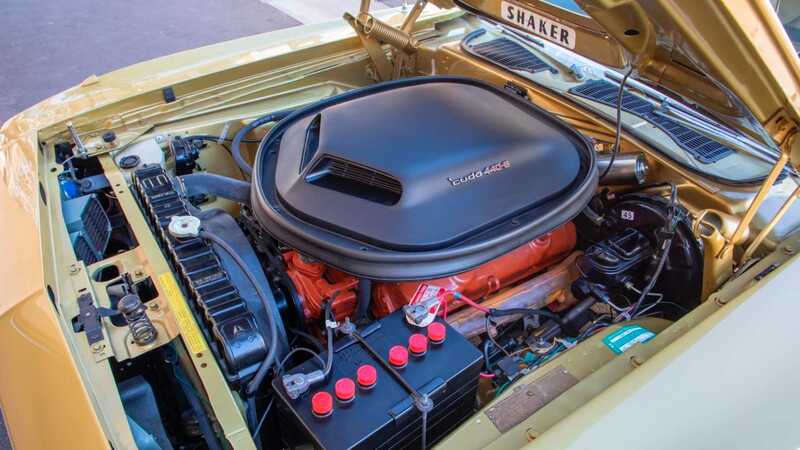 It is one of only 17 of the year model with the 440ci six-barrel, and left the assembly line as a very well optioned muscle car. 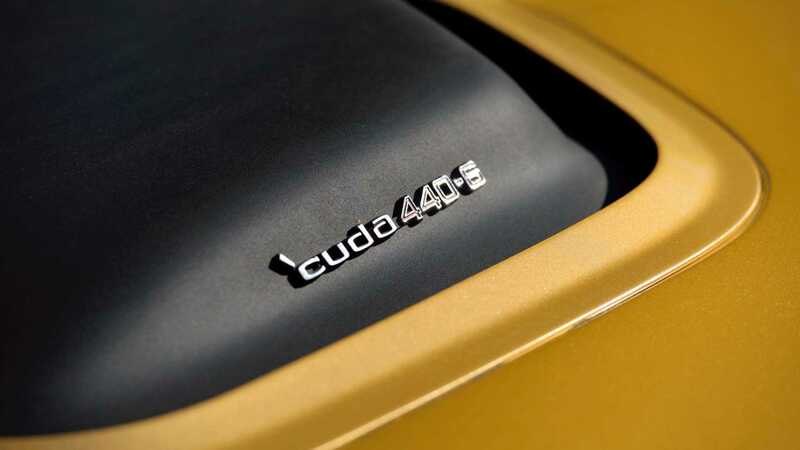 To add to the rarity of this Cuda, it’s one of only five equipped with a four-speed manual, earning it the one-of-five status. The equipped A333 Track Pack added a Sure-Grip Dana 60 rearend with 3.54:1 gears, making it a fairly reasonable highway car. This car also has outrageous design cues, like a 'cheese grater' grille, N96 Shaker hood, and 'gill' inserts in the fenders - the narrow stacked taillights are also recognizable from any view. 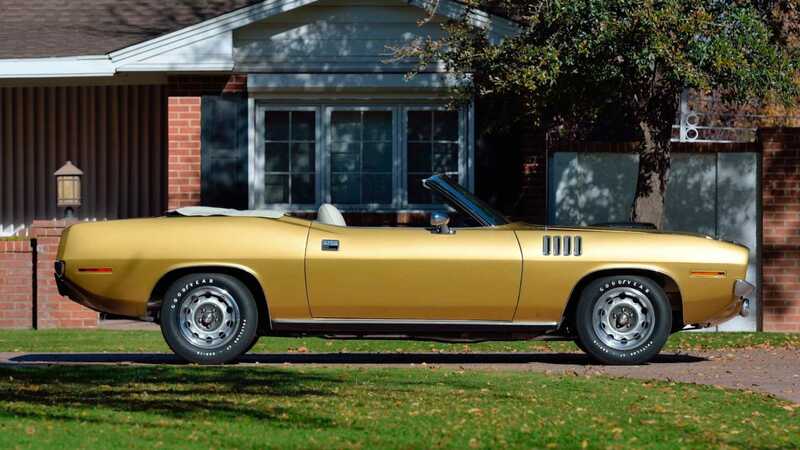 Coating the in-your-face body lines is an uncommon Gold Metallic paint job, with a contrasting white convertible top. Options added to this car include the light group and rallye instrument Cluster, with the N95 Tachometer. 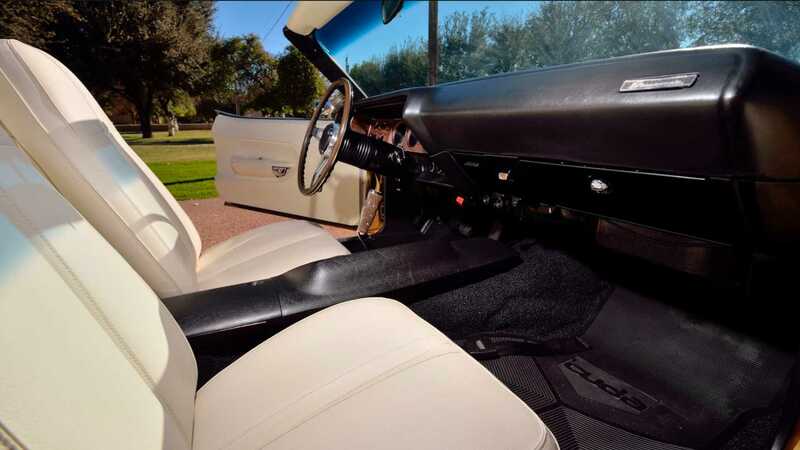 Inside, you’ll find woodgrain console, which has the Hurst pistol grip shifter, plus the Rim-Blo steering wheel, H6XW high-grade white vinyl bucket-seat interior, power convertible top, and R11 Music Master AM radio.